Continuing the mission to raise awareness outside of the cannabis bubble, Hastings Cannabis Club activist Lulu Fitzgerald will be speaking at the Anarchists Bookfair in London this October. 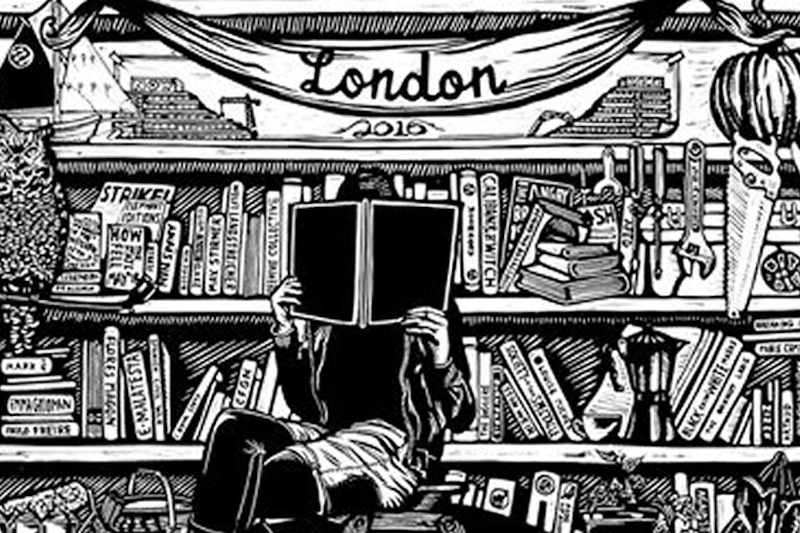 The Anarchist Bookfair has been running in London since 1985 and is a chance for free thinkers to get together, network, share ideas, read books, attend debates and lectures, and show solidarity for other groups. There is representation of a diverse range of causes including animal rights, feminist groups, housing rights, refugee rights, disabled rights, environmental causes, direct action groups, anti war campaigners and of course anarchists. The underlying feeling is one of fighting for freedom and equal rights, against an increasingly tyrannical and corrupt system. Cannabis activism has for too long been perceived as a fringe issue, one that only applies to stoners and hippies. Because of that we run the risk of shouting across an echo chamber without being heard by anyone outside the scene. By putting the case across that cannabis can help to combat many of the problems in the world today, from over reliance on fossil fuels to the opioid crisis, I hope to redress that misconception and bring the issue to a wider audience- people who are receptive to forward thinking ideas, who have knowledge and experience in campaigning, and can apply this message to their particular cause. The talk will begin by putting prohibition into context by running through the history of cannabis as medicine, food and fibre, before explaining the medical benefits, how it could replace most damaging industries, the real reason it’s illegal, UK vs global law, recent developments and future projections, and finally what we can do about it. The bottom line is, cannabis has a vital part to play in creating a better future. Whether we have left it too late, I do not know. But we must try. Our world is broken, the Business as Usual model is becoming increasingly dangerous, and we can’t afford to waste any more time. Follow Hastings Cannabis Club on Facebook. Visit CannaZineUK. Don’t forget to like the UKCSC too! If you are thinking of quitting smoking or tobacco why not check out Vapefiend.co.uk for the UK’s best selection of home and portable vapes and accessories! Visit the UKCSC Web Shop to support our mission to bring about social change in the UK. Anarchists Bookfair London: Can Cannabis Save The World? 2nd October 2017 19th December 2018 GregLeave a Comment on Anarchists Bookfair London: Can Cannabis Save The World?